We all love getting new gadgets, but what to do with the old ones? Here are 20 clever ways to put your old Android phone or tablet to good use. Got extra smartphones sitting around your office? How about tablets? As we move multiple generations into mobile technology, more and more of us are building up collections of old, dated devices from both our work and our personal lives. And more often than not, those devices do little more than take up space and gather dust. Here's a little secret, though: Your abandoned Android gadgets are actually virtual gold mines. You just have to find the right way to tap into their potential and give them new life. So grab the nearest DustBuster and get ready: Here are 20 ways to make your old phone or tablet useful again. With the right software and a couple minutes of configuration, your old Android device can act as an on-demand controller for your Windows, Mac or Linux computer. An app called Unified Remote and a Wi-Fi or Bluetooth connection are all you need to make the magic happen. 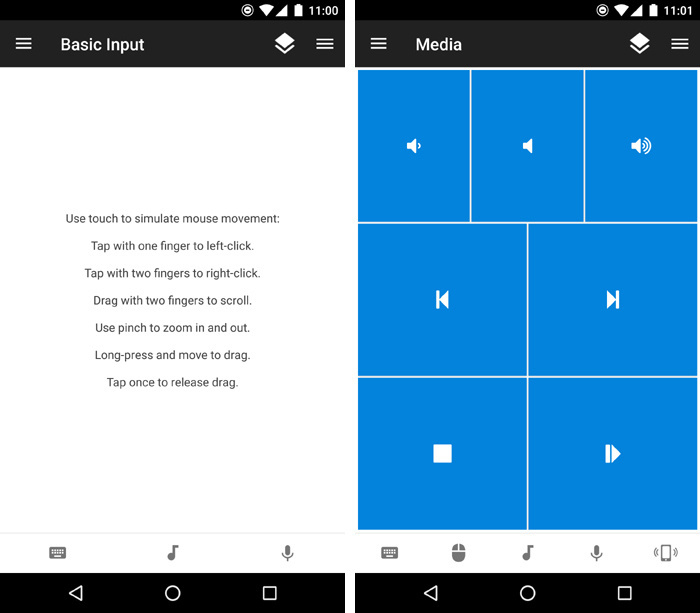 The free version of the app gives you basic mouse and keyboard control along with specialized remotes for media playback and power-related commands, while the full $3.99 version adds in program-specific remotes for presentation control along with other advanced features. Unified Remote provides basic mouse and keyboard control along with a variety of specialized remotes. Grab whichever version you prefer and download the server-side software for your computer — then toss your old device into a desk drawer or computer bag and rest easy knowing it'll be ready and waiting the next time you need to go wireless. Want easy access to your home computer from the office — or vice-versa? Your old Android phone or tablet can be a splendid stationary screen for keeping a remote system at arm's reach. The simplest way to set it up is to use Google's free Chrome Remote Desktop program, which works with Windows, Mac, Linux and Chrome OS computers. Just install the Chrome Remote Desktop app onto the computer's browser and follow the steps to enable remote connections. The connections will be limited to devices that are signed into your Google account, and you'll also be prompted to create a PIN for additional security. Once that's done, install the companion app on your Android device, set the phone or tablet on your desk — and pat yourself on the back for creating a permanent virtual window into your distant computer. Even the junkiest old Android device has ample power to serve as a smart remote for your home or office. That can be a helpful way for you and anyone else around to control your various smart devices and multimedia components without needing any special access (or your own current personal phone in hand). First, the easy part: Load up your old phone or tablet with all the relevant apps for your smart-device setup — things like Nest, Hue and anything else appropriate for controlling your home or office tech. Pair the phone or tablet with one of Google's ultra-affordable Chromecast streaming sticks. You can then keep the old Android device on your desk or coffee table and use it as a hub for wirelessly casting content — everything from Netflix and YouTube to TED Talks, CNBC, Lynda and Google Slides — to your TV. Install an app to make your old Android device a dedicated remote for components like TVs, cable boxes and DVD players. If your device has a built-in IR blaster, look to see if it has its own programmable software in place or give the universal Smart IR Remote app a whirl. If it doesn't have an IR blaster, try searching the Google Play Store for specific apps to control your components. Such programs are available from brands like Panasonic, Sony, Comcast Xfinity, AT&T U-verse, DirecTV, Roku and Android TV. Here's something: Your clunky old Android device could actually help scientists detect earthquakes and research possible cures for Alzheimer's. It's all part of a program from UC Berkeley called BOINC, or Berkeley Open Infrastructure for Network Computing. 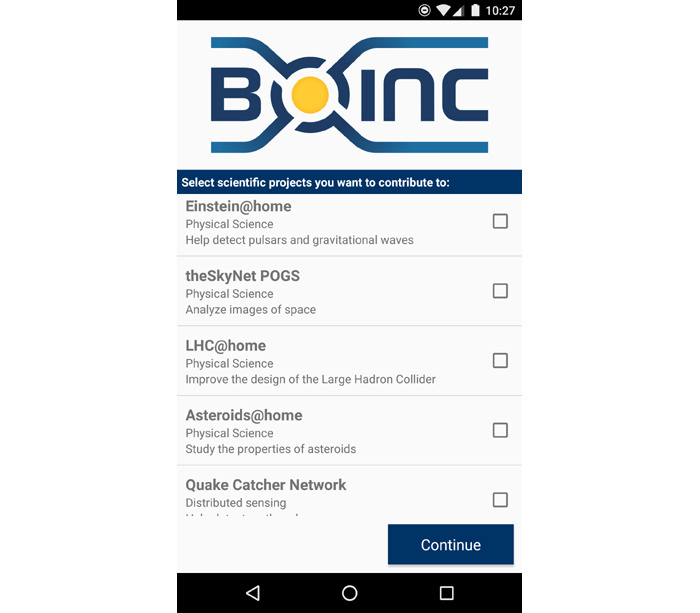 All you do is download the free BOINC app, choose which research projects you want to support and select how and when your device's computing power can be used. As long as your device is turned on, plugged in and connected to a Wi-Fi network, scientists from various institutes will be able to use its processing power to help conduct their data analyses. Turn your tablet or phone into a scientific research machine with BOINC. You can read more about how the whole thing works at Berkeley's BOINC FAQ page (try saying that five times fast!). Who needs a fancy-schmancy connected camera when you've got an old Android phone sitting around? With the aid of a third-party app, the camera on your dated device can let you keep an eye on your home, office or top-secret crime lair from anywhere — and even perform advanced functions like video recording and motion detection. Just download the free IP Webcam app or get the fully featured $3.99 pro version and follow its instructions. Within moments, you'll be able to peek through your device's lens from any compatible web browser and cackle with glorious glee. Set up your old Android device with the app for your video-chatting platform of choice — Skype, Hangouts Meet, Google Duo or whatever the case may be — then drop it into a dock on your desk or conference room table. Say "hocus pocus" for good measure, and ta-da: You've just created a permanent access point for virtual face-to-face communications. Just think: With enough old phones and tablets, you can create an entire house- or office-wide video conferencing system. Sign each device into its own unique account, with the name of the room as its username, and seeing someone across the building will never be more than a couple quick taps away. Hard to believe, but my ancient 2011 Motorola Xoom tablet was one of the most used devices in my house until it finally kicked the bucket this year. That's because I converted it into a multipurpose command center for our kitchen — a role my 2012 Nexus 10 tablet has now taken over. Second, populate the home screen with the right apps for the purpose. Netflix and other video-streaming services will effectively turn your old tablet into a cooking-time television. Recipe apps can also be useful, as can cloud-connected note-taking services — like Google Keep, Evernote or OneNote — for quick viewing of personal recipes or editing of always-synced family-shared shopping lists. If you use Google's Project Fi for your current phone's wireless service, take advantage of a little-known bonus feature: the ability to get an extra SIM card that's connected to your account and able to provide data on any other device — without any superfluous fees. All you've gotta do is order the card from the Project Fi website, pop it into an old phone (or a tablet, if you happen to have one with a SIM slot) — and bam: That device is instantly online and connected. You'll pay only for whatever mobile data the device uses in any given month, at the same flat rate associated with your regular Fi plan, so it's essentially just an extension of your primary phone. That opens up plenty of interesting possibilities: You could use your old device as a ready-to-go backup phone in case your regular one is ever missing, broken or low on battery; you could use it as a dedicated hotspot to beam out mobile data access without draining your primary phone's battery; or you could use it as an always-connected on-the-go slate for your kids (hello, airport video-streaming) without having to pay for an extra line of service. You can even use it to make and receive phone calls — utilizing either your regular phone number or an alternate number — if you get a little creative with your thinking.